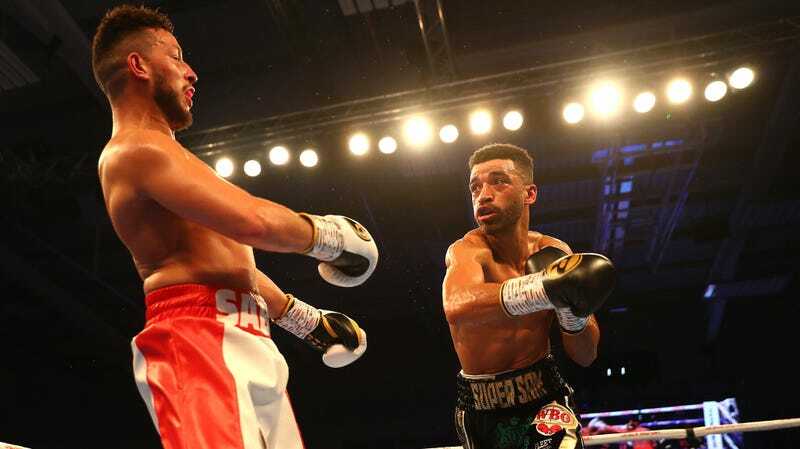 The undefeated French fighter Sabri Sediri had picked up a pair of knockdowns early on in his super lightweight match on Saturday against Sam Maxwell in Leicester, so in the late 10th round, it wasn’t too ridiculous for him to feel confident in the result. With 20 seconds remaining, Sediri looked loose and cocky in the ring, practically dancing as the clock ran out on his much more tired-seeming opponent. That is, until Maxwell hit him with a right that made Sediri totally unaware of his surroundings, earning the Brit the buzzer-beating TKO. If you’re going to do some disrespectful dancing in the ring, at least do it like Teófimo López and wait until the job’s totally finished.